Haleybrooke International will represent Welsh distiller Penderyn in the Americas and other selected markets, collaborating with Richard McGratty of McG Consultants on the agreement for Penderyn Single Malt Whiskies. 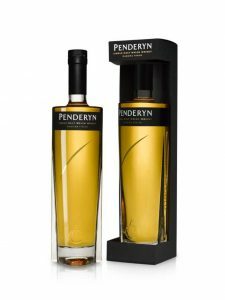 Penderyn Single Malt Welsh Whisky is made at the Penderyn Distillery located in the southern foothills of the famous Brecon Beacons National Park in Wales in the UK. Each cask is nosed and tasted individually by an all-female distilling team and the whisky is typically finished in ex-Madeira barriques. “We believe there is a great opportunity for Penderyn Whisky from Wales especially for Travel Retailers that feature whiskies of the world. Early discussions with customers have been very positive,” noted HI president Patrick Nilson. Haleybrooke VP Roger Thompson says that the priorities to start will be the Penderyn Madeira Finish 70cl which will retail in Travel Retail at US$ 65.00 and Penderyn Faraday which will be a Travel Retail exclusive at US$ 75.00.